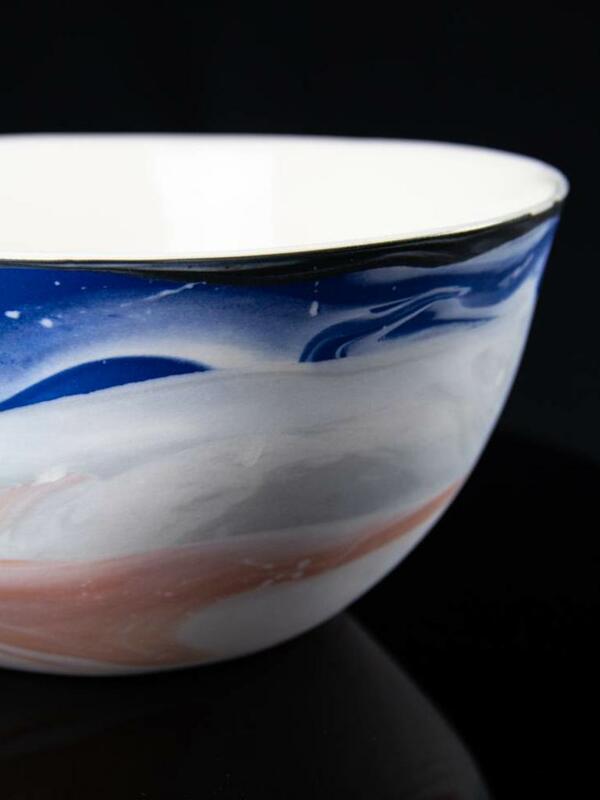 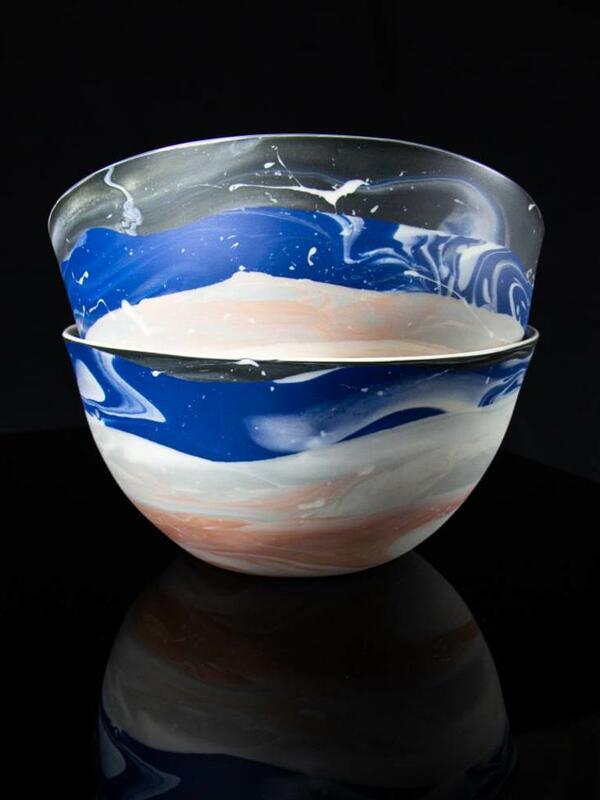 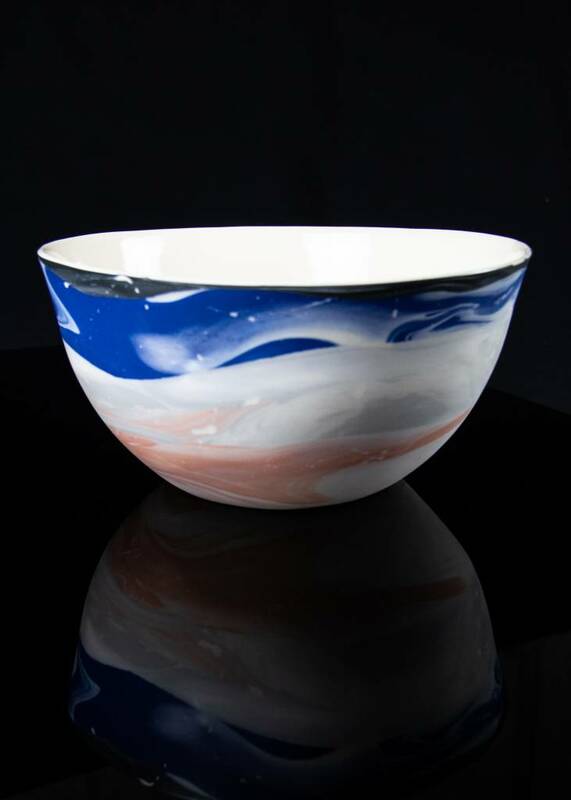 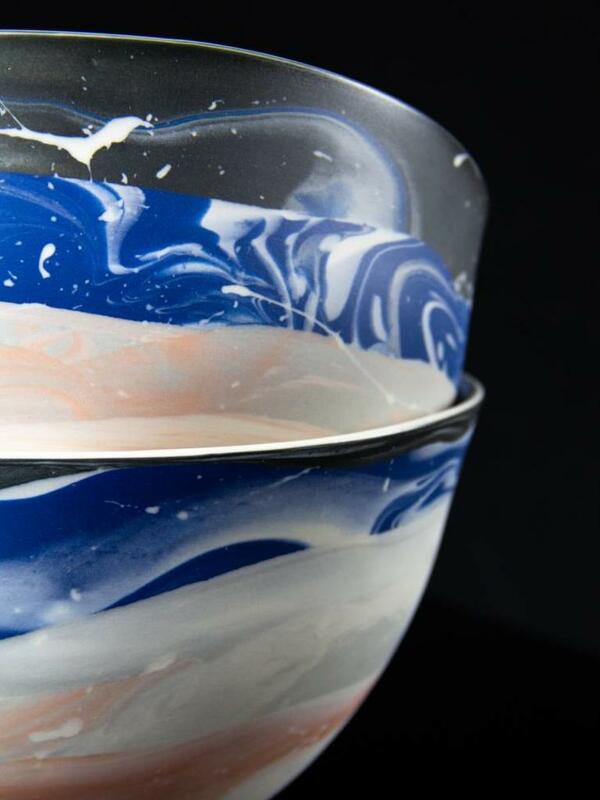 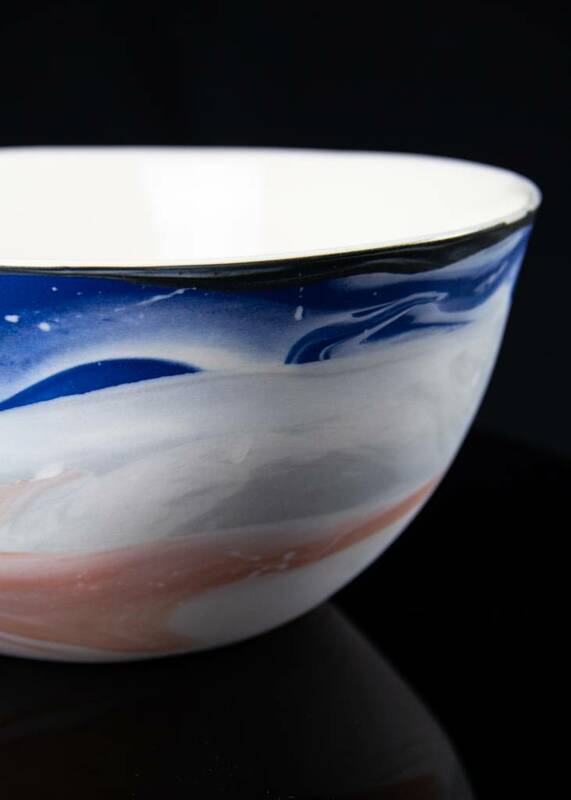 The Stellar Collection handcast bowl in multicolor marbled porcelain, made to hold whatever bounty you choose. Measures 10 inches diameter x 4.5 inches in height. 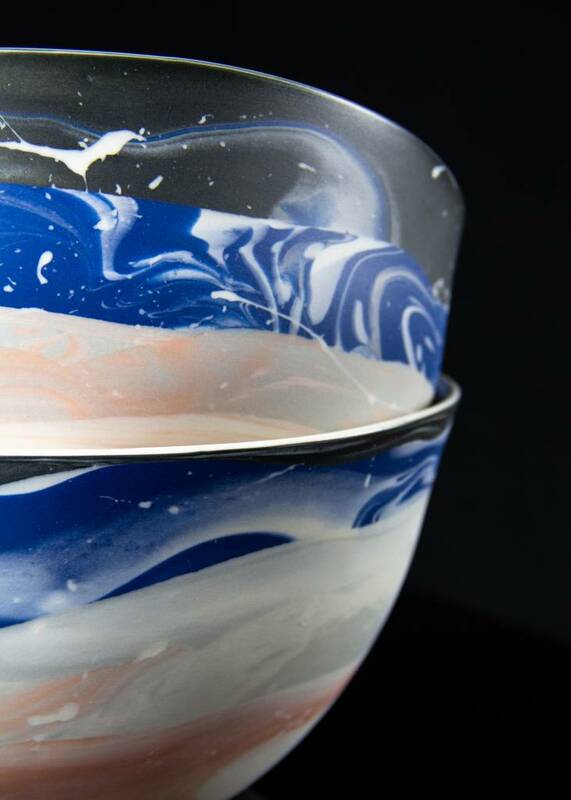 Each piece is handmade and therefore will have its own unique patterning.